User can register himself as follows. 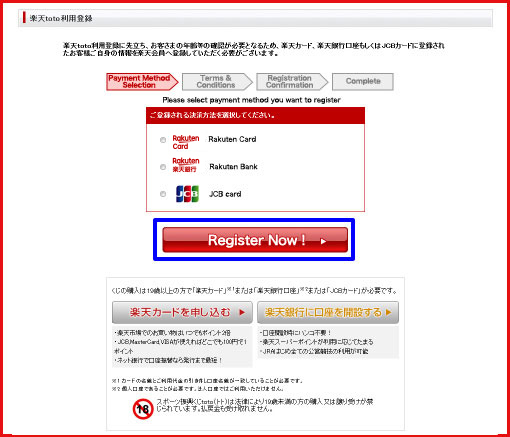 Those who already have Rakuten membership please do login. Those who don’t have Rakuten membership please register from here. User can buy lottery by using following payment methods. Please use suitable payment for you. 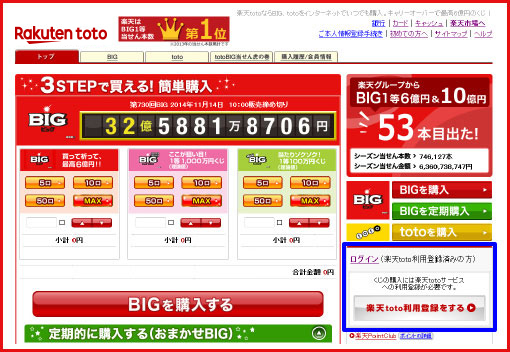 You can open New Rakuten bank account from here. Please read Terms and Conditions carefully. If you agree with terms and conditions, click 「規約に同意し登録確認へ進む」button. 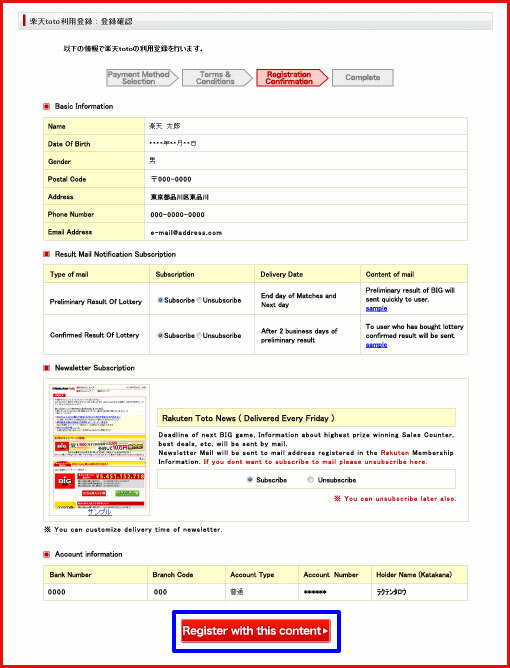 Please register personal information required for Rakuten toto service. 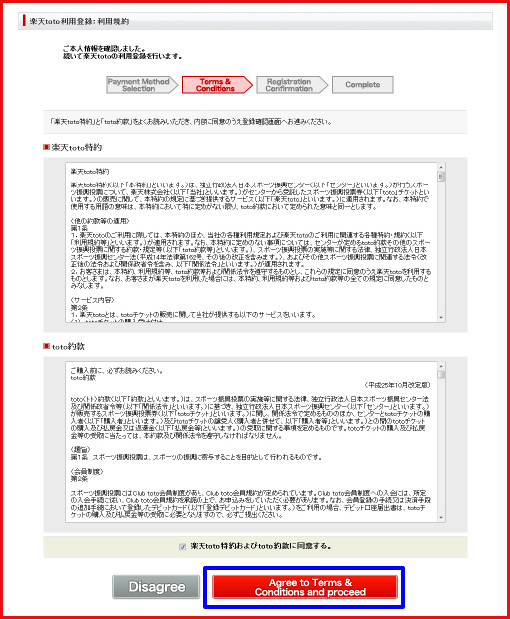 Please confirm your personal information and click 【この内容で利用登録する】button for registration. Please select 【受け取る】option for receving e-mail notification for all game results. 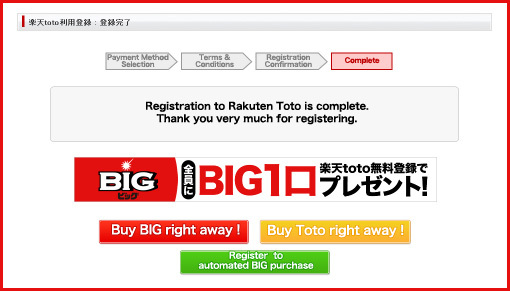 Your registration on Rakuten toto service is complete. You can enjoy purchasing lottery now.